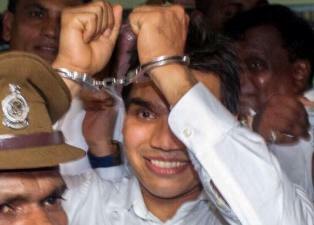 Colombo Additional Magistrate Nishantha Pieris has ordered MP Namal Rajapaksa and five others be immediately arrested and produced before court. The order was made on a submission by the Financial Crimes Investigation Department (FCID) of the Police in court this morning, that the transaction of rupees ten lakhs one hundred and twenty five thousand between the Rajapaksa owned 'Gower Corporation' and 'Hello Corp' to be suspicious in nature. MP Rajapaksa is currently engaged in a protest march - 'Jana Satana Pada Yatra', against the government together with his father the former President Mahinda Rajapaksa and members of the Joint Opposition.